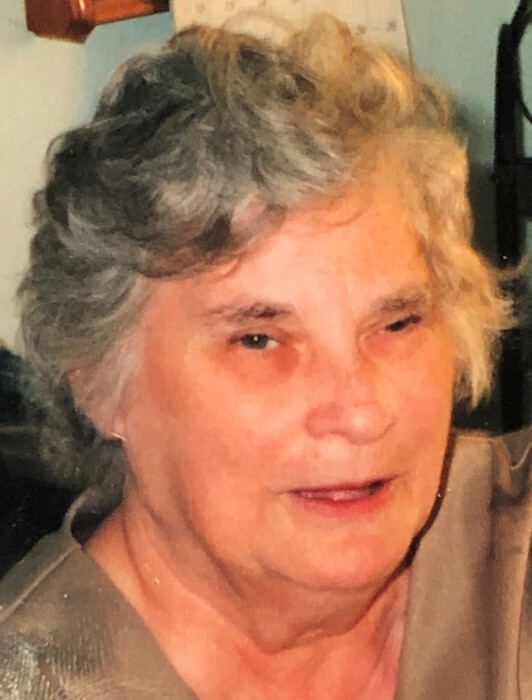 Arline Parsons, of Kingston, died Sunday, September 16, 2018, in Celtic Hospice In Patient Unit, Wilkes-Barre. Born in Wilkes-Barre she was the daughter of the late John and Mary Turpak Halapi and she was a homemaker, loving mother and grandmother. Arline enjoyed watching baseball on TV especially the Little League World Series and was a cat lover. She was preceded in death, in addition to her parents, by her husband, William G. Parsons and siblings. Arline is survived by her children, Marie Craven and her husband, Sam, Larksville; Bill Parsons and his wife, Valerie, Shickshinny; Eileen Parsons, Kingston; Ron Parsons and his wife, Lori, Shickshinny; David Parsons, Plains; eight grandchildren, Sam, Kristen, Sean, Aaron, Rebekkah, William, Eric and Kevin, six great grandchildren, nieces and nephews. Funeral service will be conducted on Wednesday, September 19, 2018, at 10:00 am from the Andrew Strish Funeral Home, 11 Wilson Street, Larksville with Reverend Carol Coleman officiating. Interment will follow in Memorial Shrine Cemetery, Carverton. Friends may call from 5 to 7 pm on Tuesday, September 18, 2018 and Wednesday morning from 9:30 am until time of service. In lieu of flowers, Memorial contributions may be made to the American Diabetes Association or Charity of donors choice.